2 sachets per unique registered participant. Limited to the 500 lucky entries that meet the submission criteria as stated in the Terms & Conditions. The Contest will run from 27th April 2015 (Monday) to 12th May 2015 (Tuesday). Complete the one-time registration form for the Contest within the SERI-AJI® TOM YAM Giveaway Tab found within the AMB’s Facebook page. 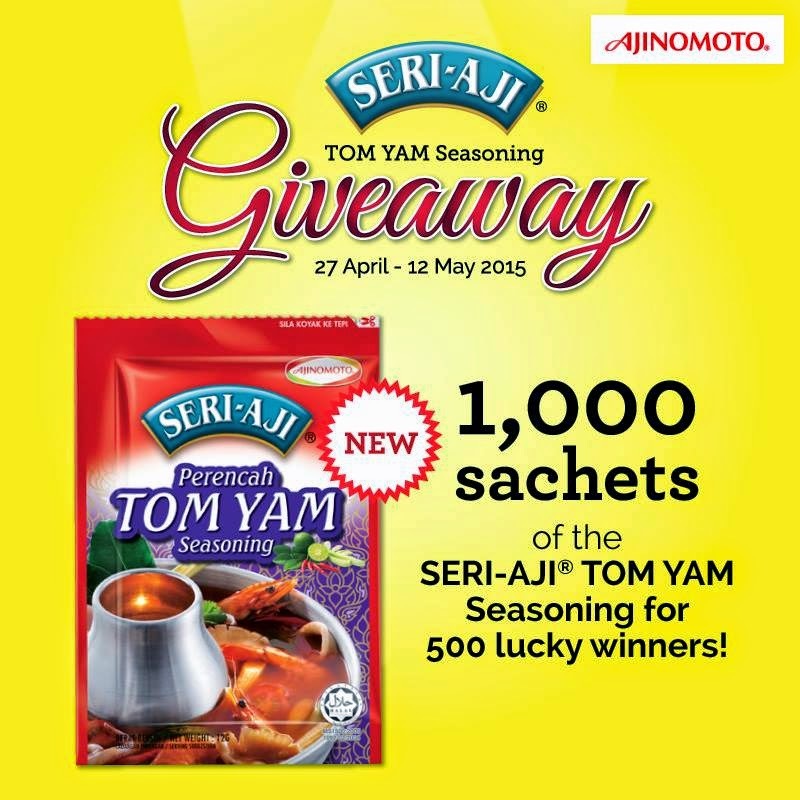 Allow SERI-AJI® TOM YAM Seasoning Giveaway Tab to access your Facebook profile and email for identification purposes. Click the “SHARE” button to share the SERI-AJI® TOM YAM Giveaway Tab to your Timeline. 500 participants with complete registered details and shared the SERI-AJI® TOM YAM Seasoning Giveaway tab on their Timeline will be chosen as Winners through a lucky draw basis. Each lucky winner is only eligible to receive 2 (TWO) sachets of the SERI-AJI® TOM YAM Seasoning (12g).